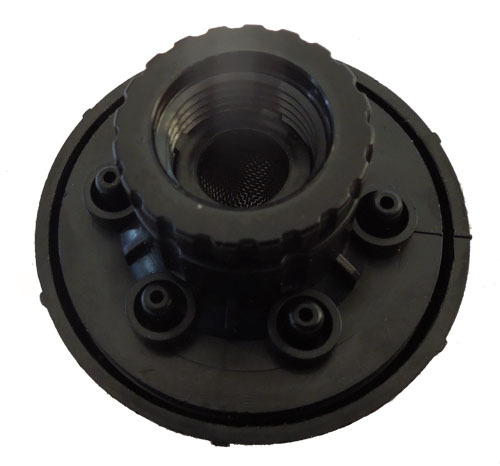 WYP Adjustable Six-Outlet Drip Manifold is used to retrofit an existing 1/2” sprinkler riser into a six-outlet drip irrigation system. 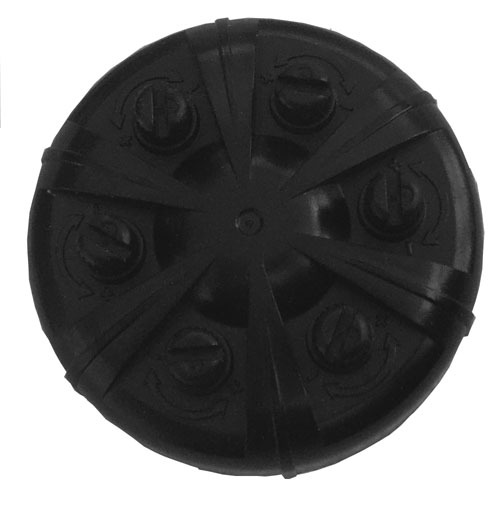 Water Your Pots Adjustable Six-Outlet PC Drip Manifold (1/2" female pipe thread) is used to retrofit an existing 1/2” sprinkler riser into a six-outlet drip irrigation system without altering or increasing the total flow of the sprinkler system zone. It has six independently adjustable, pressure compensating outlets with flow rates between 0 and 20 GPH at operating pressures of up to 50 PSI. 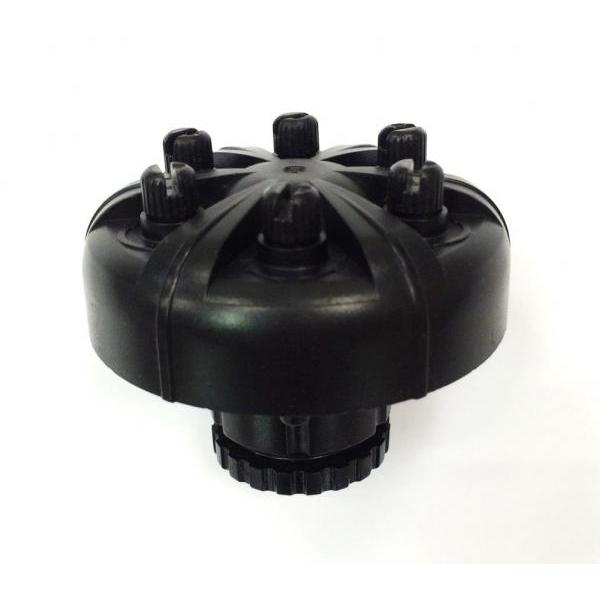 Each outlet accepts 1/4" micro tubing, 1/4” soaker hose or the addition of drip emitters and adjustable stakes to bring water to each plant root zone at a maximum flow of 20 GPH per outlet. Replacing the sprinkler riser with the six-outlet manifold can lead to water savings of 50% to 70%.